So, another year come and gone. In wider world news, not a particularly good year considering. Close to home in my own little world bubble, things look much better. But, the new year is a good time for reflection, and I did have some goals for last year, so let’s see how I got on with those. Reading Resolution #1 – Read a book a week, or rather 52 in a year. How far did I get? 11/52. Yeah, I realise that it’s not many considering what I set out to do. Honestly, it sort of all came to a stop pretty early on in the year. I set out to do the Reading Ahead Challenge (rainbow style), but only got about halfway through the green book before things petered out and I never finished that book, let alone the challenges I had set myself. Why? Busy year. I’ve got a job, a masters, a social/gaming life, but most of all, I think I didn’t read so much because I was concentrating on writing. Quite a lot actually. Which leads on to the other resolution/challenge I was trying to accomplish in 2016. I joined a 365K club, which meant writing 1,000 words every day, or rather 365,000 in the year. How did I end up doing on that? 356,000 words. Yeah, I know. Considering how little away from the goal I was, and the fact that I didn’t actually do much writing over the Christmas break, it is a tiny bit disappointing. Entirely my own fault, but, actually, I did learn a lot from doing it. I managed to write every day from January 1st to June 4th. June 5th was the first day I didn’t write a word, and that’s pretty good going. But as you can see from the summary, I was a bit up and down after April (and April was largely boosted by taking part in the A to Z challenge). NaNoWriMo in November also helped, but about halfway through the year I sort of lost the steam a little bit. I’m also bad at habit forming. I wrote every day for 5 months, yet come the end of the year, I certainly think about my writing everyday. Opening up the document and putting the words down? Not so much. Especially when most of my free time is being devoted to the master’s degree, and that’s a heck of a lot of work. But, focusing on writing so much was fun. And I certainly have a lot more words now that I did at the start of the year. It was good, even if it was challenging. But I have learnt a bit more about myself, and how I write, and that’s very useful information I can use going forward. So, what challenges am I doing this year? None. I’m not promising to read a certain amount of books, or write a certain amount each day. I am officially divesting myself of any and all obligations/challenges. Why? The masters degree. This year I have to do a dissertation. 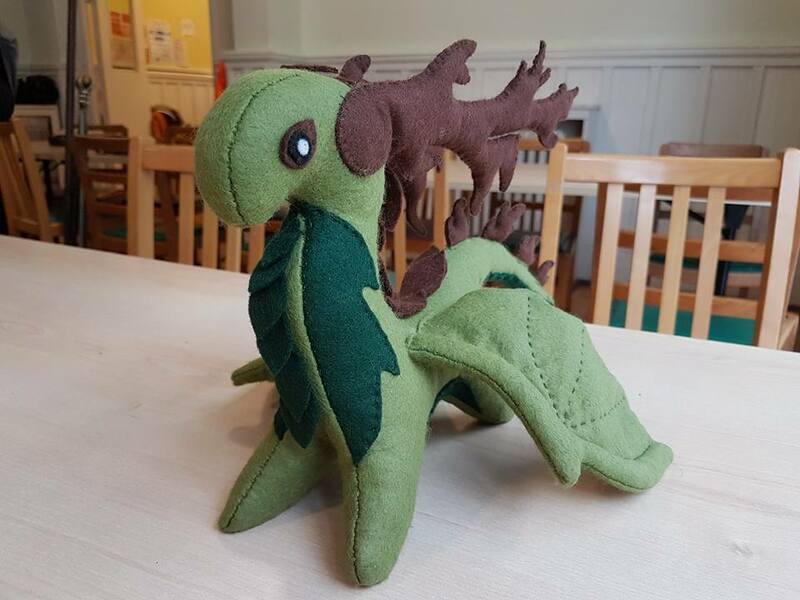 We’ve already started thinking about it (and the initial proposal is due in the next couple of weeks) so there’s already a fair amount of internal screaming going on. That is only going to get more stressful, and since I want to do well in the degree, I’m prioritising that over everything else this year. I would like to read more than I did last year, and I certainly plan to keep on writing, if not daily then certainly multiple times a week. What I’m not doing is setting any goals to do with those hobbies, because then I won’t feel obligated to spend time on them when I should be doing my masters work (if I end up doing them instead of the masters work then that’s procrastination and is an entirely different problem). Hopefully by cooling off everything else, all the stress that comes from the masters will be somewhat balanced out, and I can look forward to a really free end of the year, since I hand in my dissertation in September, get the results back in October, just in time for NaNoWriMo in November! I’ll probably have calmed down by then. Maybe. So that’s my 2017 – the year of the degree. I hope that whatever you are planning for the next year is off to a good start. Mine could be better, I managed to leave the book I need to read round a friend’s house! So, at the beginning of last month I talked about the Reading Ahead Challenge, and how I was planning to read six books in a relaxed time frame of a month. I mentioned about halfway through the month that February was proving tough for reading and I had only read the red book. Two weeks on from that, and I’ve only read the orange book in addition. True, the yellow book is sitting in my bag, but sitting in my bag is not reading it. So, in the month of Feb, which admittedly is the short month, although not this year because leap year, I have read two books. Needless to say, this is mildly disappointing to me. Of course, it’s not because I haven’t been doing things. In fact, I think it is the things that are possibly preventing me from reading. Writing every day, enough to average out at 1,000 words, actually takes up a lot of my time. Then there’s my master’s coursework, which takes a number of hours out of evenings here and there, and most of my Thursdays. I of course, work most days and I can’t read whilst on the job (Sadly the job of the librarian is not sitting around all day reading books, otherwise this challenge would be really easy) and in the evenings I often have a tabletop game, social events, or something. This week my dad also happens to be in town, so I’m going out for dinner and catching up with him a couple of times. My point is, that finding the time to read is really hard. When I actually sit down to read, it never takes me long to finish a book. I had to take a two hour train over the weekend, and it was glorious, because I could sit down, with my book, and I got 2/3rds of the way through by the end of the train journey. So my reading speed is still as fast as it ever was. But actually finding that hour or two to sit down and read? That’s hard. But I do want to make myself. I know a lot of people make fifteen minutes at the end of the day, which probably won’t work for me because my partner tends to already be in the bed by the time I amble along, and I prefer to sit down in large chunks rather than ten minutes here or there. For reading anyway, everything else follows the other way around. So, still going with the rainbow. I’ve got a lunch hour with not much else going on that’s earmarked for starting the yellow book today. And I’ve got the rest of the year to play catch up since I’m a bit behind on my 52 books in the year as well. Well on track with my writing so, which is very pleasing (64K on day 61). How are the rest of you doing? What’s 2016 shaping up like for you? I keep forgetting that this comes early in the year. Reading Ahead (formally known at the six book challenge) is all about getting those people who don’t normally read to get into reading. Being in a library, and a college where we have student of all sorts of reading levels, we get rather involved in this. I talked about it last year, and this year is much the same, between now and June read six things. Newspapers, magazines, books, poem collections, short stories, most things count as long as it gets you reading. Of course I still have the problem that I did last year, that I am an avid reader and this challenge is not really aimed at me. However, as a librarian, we like to get involved with these things, and it’s good to get my numbers up for the 52 challenge (one book a week, and I’m kind of behind), so I am once again joining in. Last year I tried to do it in a week, and managed six books in eight days. This year I have a lot more on my plate, and I’m trying not to stress, so I think a month is a pretty good time frame. I’m halfway through a book right now, so if I finish that up by the end of the month, then I can spend February doing this. What I have set myself, as a sort of little extra on top, is a rainbow reading challenge. Six books, one of each of the prominent colours of the rainbow: Red, Orange, Yellow, Green, Blue and Purple (Because splitting purple into indigo and violet is a chore for this sort of thing). So I’m going to read these six, in the order of the rainbow, top to bottom. There are two library books, and the other four are ones that have all been on my shelves for a little while. I’m going to try and read through all those books that I bought but never read last year, and try to not buy so many new books until I do that. Keyword: try. I’ll be back with an update on how this has gone at the end of February. Hope your 2016 is going well! Any of my lovely readers reading anything good at the moment? So. A week after my first post, here we are. I was aiming to do the six book challenge, which is a challenge to read six books aimed at people who don’t read very often. Except that since I’m a voracious reader, I gave myself the time frame of a week in which to do it. So, did I accomplish it? I went a day over. At the end of the week when I went to sleep on Sunday, I was partway through book six. So I polished it off yesterday, meaning it took me 8 days to finish six books. Which isn’t bad at all. I probably could have done it in seven days, but I spent the weekend doing other things. Saturday I didn’t even pick up a book. I cleaned the flat, had company all afternoon, and then in the evening was the first session of Dark Metropolis (which was AMAZING). So I was focusing on other things. On Sunday I read book five, and started book six, but I didn’t get up until midday, and then my boyfriend persuaded me to go out for dinner and cinema (we saw Big Hero 6, which was also amazing). So it can be done, but you have to not be doing a lot else. Or pick smaller books, but I never make things easy for myself. And I quite liked all of them. 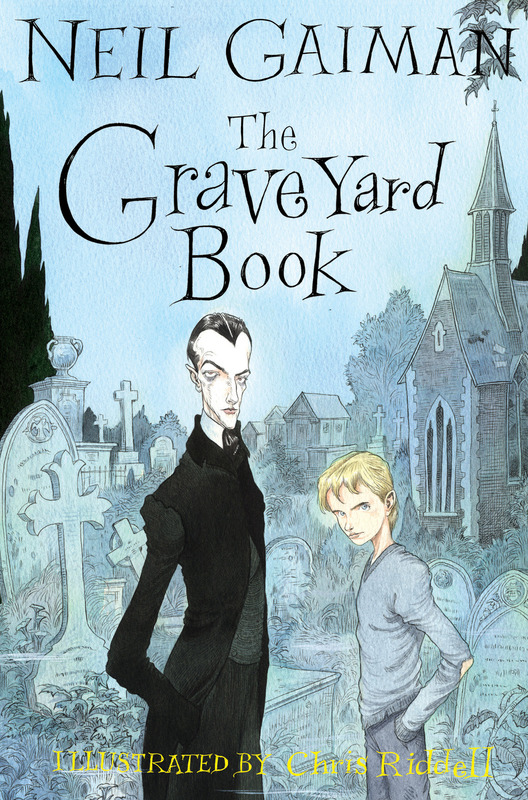 The graveyard book was aimed at people a little younger than me, but I have wanted to read more Gaiman, and that was the one I could find. 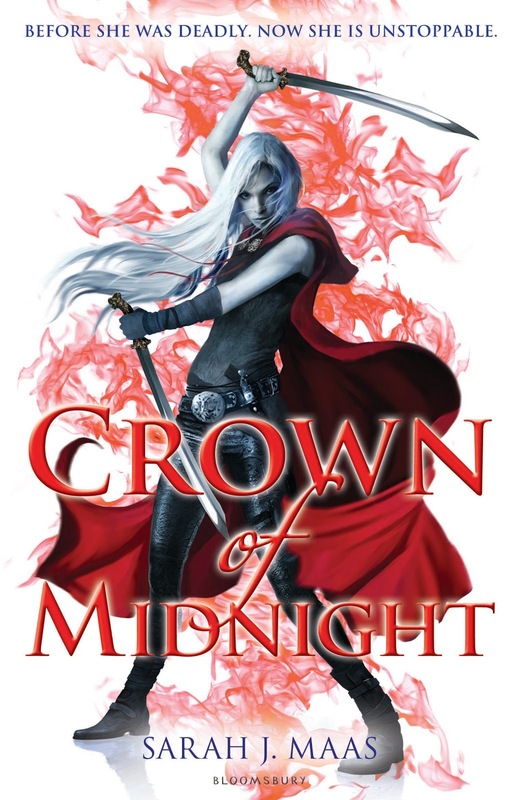 Crown of Midnight and it’s follow up Heir of Fire had been sitting on my ‘to-read’ pile for a while. 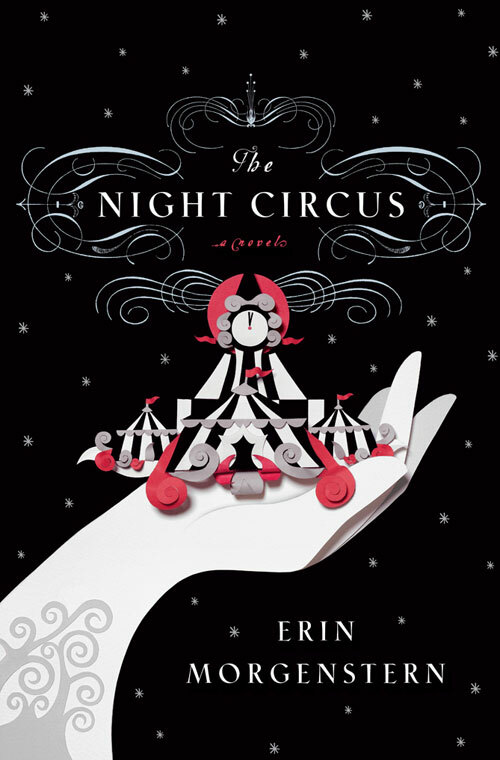 Water for Elephants and The Night Circus were books I wanted to read because they both start out life as NaNoWriMo novels. 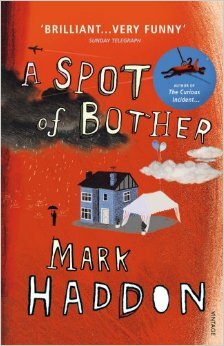 And I loved The Curious Incident of the Dog in the Nightime, so when I spotted another book by Mark Haddon in the library I picked it up and gave it a go. And I loved it, actually. And I expanded my usual genre as well. 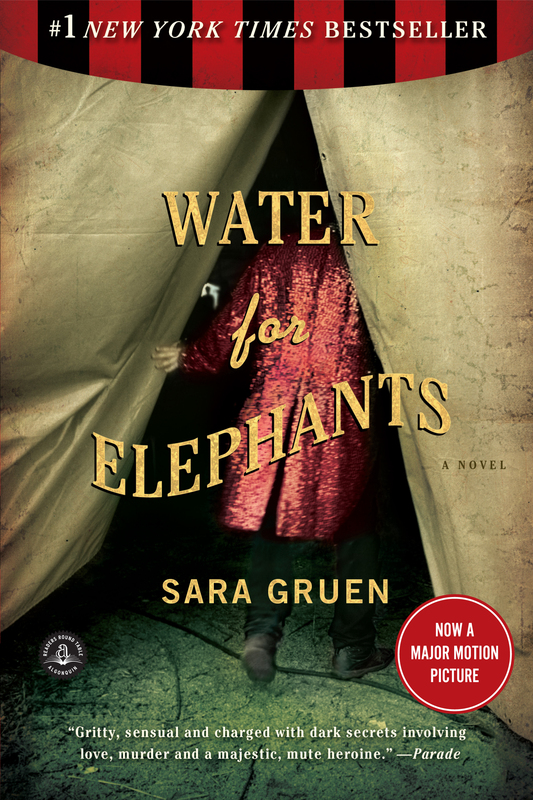 Water for Elephants is a historical fiction, and A Spot of Bother counts as contemporary. Much different from my usual fantasy. So I’m also doing well on expanding that out. Didn’t do any non-fiction books, but it does take a while longer to read non-fiction in my opinion. But there we go. Success. Not quite complete success, but reading six books in only one day over my intended target is pretty darn good. Anyone else read anything interesting lately? Working in a library means that I get to hear about all these fascinating little events. And not so little events as well, as we try and promote learning and reading and a bunch of other stuff to the staff and students in college. 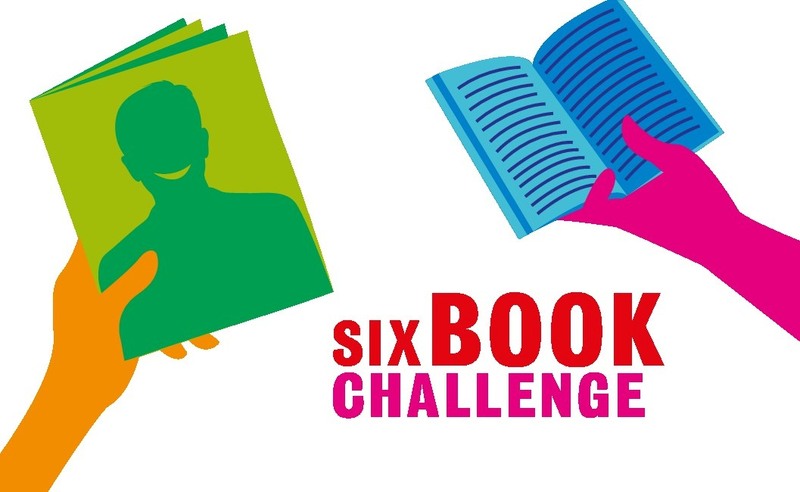 In that vein, this week is the start of the Six Book Challenge. 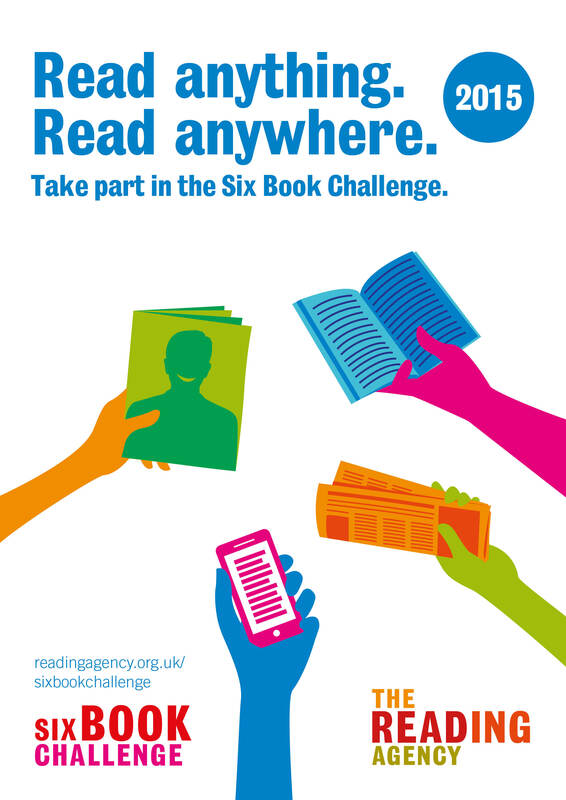 This challenge is all about getting people who don’t normally read for whatever reason, too busy, not confident, English as a second language, learning difficulty, don’t enjoy it, whatever the reason. This is all about getting them to read. The challenge is to read six books. Or newspapers, magazines, jokes, poems, whatever takes your fancy really. 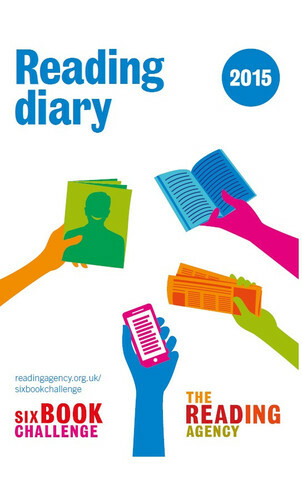 Read six different things, jot them down in the little diary you get for signing up physically, or online on their website, and then if you manage to read six things by the end of June, you get a big shiny certificate and can be entered in for some prizes. Now the only problem with this challenge is that it is aimed at people who aren’t good readers. As I call myself a voracious reader, it doesn’t really cover me. Although that is hardly going to stop me. If someone who is a good reader comes up to us, asking to sign up, we’ll absolutely let them, but we also give them the task to find a friend of theirs who isn’t such a good reader and try to get them to sign up as well. But I think those of us who do love reading also love sticking our teeth into a good challenge. So with all my friends being as good a reader as me, what have I done? I’ve shortened the time frame. I’m going to try and read six books in a week. Mainly because that actually feels like a challenge. Six books until June? Far too easy. A month? Again, rather easy. A week? Now with everything else I do, that might be a challenge. And I’m not picking short books either. Oh no, these are books I would normally read, plucked straight off my too-read bookshelf. And borrowed from the library of course. We are trying to advertise that we have a very good, if small, selection of fiction books for pupils to borrow. It’s going pretty well so far. I started yesterday, making Monday Day 1, and I read an entire book, start to finish. I was even able to start book two, so now, Tuesday morning aka Morning of Day 2, I’m halfway through book two. 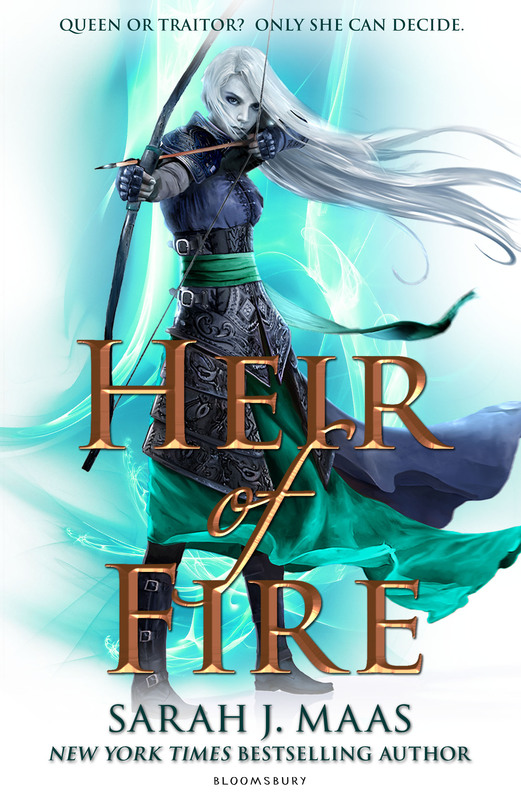 Just in case anyone is interested book one was Crown of Midnight and book two is Heir of Fire, which are books 2 & 3 in the Throne of Glass series. Excellent series, I would recommend a read.